Muharram is the first month of the Islamic Hijri Lunar Calendar. It is the Islamic New Year, marking the important event of Prophet Muhammad (Sallallahu ‘Alayhi wa Sallam) move from Makkah to Madinatul Munawera. Muharram is also one of the four sacred months of the year, in which fighting is forbidden. Prophet Muhammad (ﷺ) went to the Cave in the way to Madina with his companion Abubakr Siddiq in Muharram. This event is mentioned in Holy Quran, Surat at Tawbah (9:40). 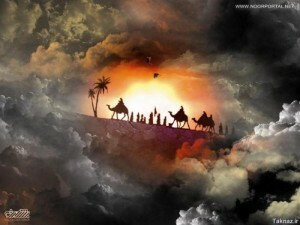 Prophet Muhammad (ﷺ) arrived in Madinatul Munawera on the Day of ‘Ashura. Muharram is also a month of great importance to Naqshbandis. 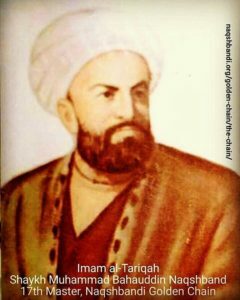 Our Master and Imam of the Tariqah [Master of Naqshbandi Sufi Path] Shah Bahauddin Naqshband (qaddas Allahu sirrah) was born on the 14th of Muharram. It is thus important and most desired that his followers congregate on the eve of this holy day for Khatm and Dhikr, read the Mawlid un Nabi (Praises on Prophet Muhammad (ﷺ) in dedication to Mawlana Shah Naqshband, and read excerpts from his saintly life. It is a tradition and practice of Sultan al Awliya Shaykh ‘Abdullah al Daghistani (qaddasallahu sirrah) to make Qurban (sacrifice) two sheeps on the day of ‘Ashura and distribute the meat to the poor and needy. He also did this on the birthday of Shah Naqshband (qaddasallahu sirrah). ’Ashura is the 10th day of holy month of Muharram. It is a day of great historical significance in which many Prophets and their nations were saved. Sayyidina Nuh (as) and his companions in the ark were saved by Allah (aj). Allah extinguished the fire in which Sayyidina Ibrahim (as) was thrown by Nimrod. Allah (swt) spoke directly to Sayyidina Musa (Moses) (as) and gave him the Commandments. Also on this day, the sea was departed for Sayyidina Musa (as) and the nation of israel was saved from captivity, and Pharoah’s army was destroyed. Sayyidina ‘Isa (Jesus) (as) was raised to Jannah on the day of ‘Ashura. It was on this day that the Skies earth and the Lauw-e-Qalam came into existence. On this day Sayyidina Adam (AS) and Sayyidatina Hawa (Eve) were created. Sayyidina Ayyub (as) ‘s health was restored (from leprosy). Sayyidina Yusuf (as) was reunited with his father Ya’qub (as) after 40 years. Sayyidina Yunus (Jonah) (as) was taken out from the belly of the fish. Sayyidina Dawud (as) was forgiven. The kingdom of Sulaiman (as) was restored. Sayyidina Muhammad (ﷺ) married Sayyidatina Khadija (ra). 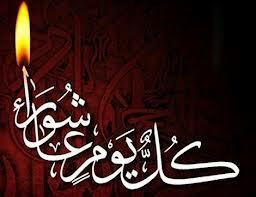 Sayyidina al Hussain(as) [the Holy Prophet’s (ﷺ), grandson] achieved the honor of Martyrdom in the battle of Karbala 61 AH(Oct 10, 680 AD). The best of fasts besides the month of Ramadan is the fast during Allah’s month of Muharram and the best of Salaats besides the Fardh (obligatory Salaat) is the Tahajjud Salaah (performed after midnight). (Sahih Muslim). And you will not suffer sickness in that year except the illness of death. Hasbun Allahu wa ni’mal wakeel, ni’mal Mawlaa wa ni’man Naseer. SubhanAllahu mil al Mizan wa muntaha ‘ilma, Wa mablaghal rida, Wa zinatul ‘arsh. La malja-a wa la manja minAllahi illa ilayhi. SubhanAllahi ‘adada shaf’i wal ‘arshi, Wa ‘adada kalimati Rabbina taammati kulliha. As alukas Salamata, bi Rahmatika Ya Arhamar Rahimeen. Wa la hawla wa la quwwata illa billahil ‘Aliyyil ‘Azheem. Wa huwa hasbun Allahu wa ni’mal wakil, Ni’mal Mawla wa ni’man Naseer. Wa Sallallahu ‘ala Sayyidena Muhammadin wa ‘ala alihi wa sahbihi ajma’in. Glorious is Allah, as much as what is in His great scale, and as far as His knowledge extends, and to such a degree as it attains His pleasure, and to whatever weight may be His Throne; there is no refuge and no safety from Allah except in Him. Glorious is Allah, (He is declared so) as many as there be even (numbers) and as many as there be odd, and as many as there be perfect words of His; glory be to Him for them all. We ask of You (our Lord) for safety, by Your mercy, O You who is the most merciful of all those who show mercy. Sufficient for us is Allah, and [He is] the best Disposer of affairs. The very best master and the very best help! And there is no power and no strength except in Allah, the High, the Great! May the grace of Allah, the Exalted, be upon our Master Muhammad and upon his family and his companions. And upon the believers men and women, and upon those who submit (in Islam), as much as there be atoms in existence and as much as there be things known to Allah; and all praise is due to Him, Lord of the Worlds. 7. Make Tawassul with Sayyidina Hussain (as) and the martyrs of Karbala, where on that day they were martyred (Shahid) with Sayyidena Hussain and those who were with him; may Allah’s favours be upon them. 8. Ihda (Gift) – After breaking your fast dedicate the blessings and rewards of your fast and daily Awrad upon the Prophet (saw) for the oceans secrets that open on the 14th of Muharram, which is Mawlana Shah Bahauddin Naqshband’s Birthday.